(B8/ERT) (Asmara) 1992 - Current. Photos. Framable Color Prints and Posters. Digital Sharp Images. Aviation Gifts. Slide Shows. 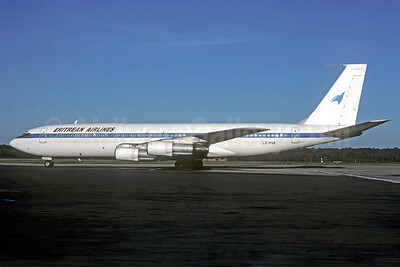 Eritean Airlines (MAP Jet) McDonnell Douglas DC-9-83 (MD-83) OE-LMH (msn 49933) FRA (Bernhard Ross). Image: 907136. 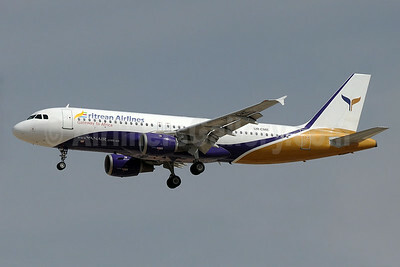 Eritean Airlines (Nouvelair) Airbus A320-214 TS-INA (msn 1121) DXB (Ole Simon). Image: 907760. 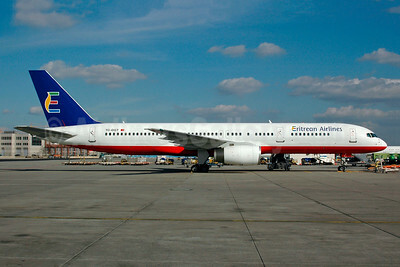 Eritrean Airlines (Atlasjet Airlines) Boeing 757-256 TC-OGT (msn 29308) (Atlasjet hybrid livery) FRA (Bernhard Ross). Image: 945415. 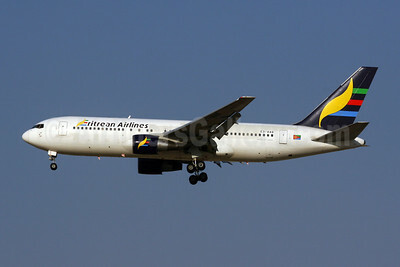 Eritrean Airlines (Atlasjet Airlines) Boeing 757-256 TC-OGT (msn 29308) (Atlasjet hybrid livery) MXP (Christian Volpati Collection). Image: 945416. 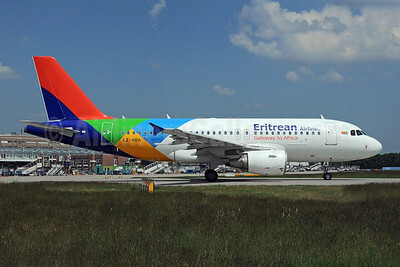 Eritrean Airlines (BH Air) Airbus A319-112 LZ-AOA (msn 3139) FRA (Bernhard Ross). Image: 908373. Eritrean Airlines (BH Air) Airbus A319-112 LZ-AOA (msn 3139) FRA (Pedro Baptista). Image: 908531. 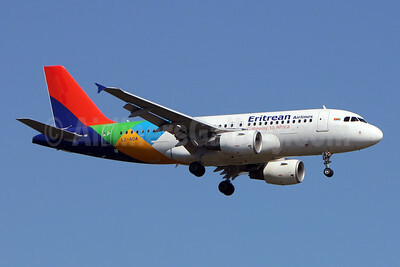 Eritrean Airlines (BH Air) Airbus A320-214 LZ-BHF (msn 1087) DXB (Ole Simon). Image: 907759. 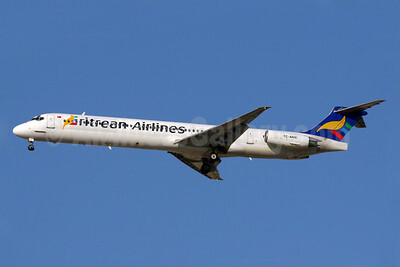 Eritrean Airlines (World Focus Airways) McDonnell Douglas DC-9-83 (MD-83) TC-AKN (msn 53186) DXB (Konstantin von Wedelstaedt). Image: 901737. 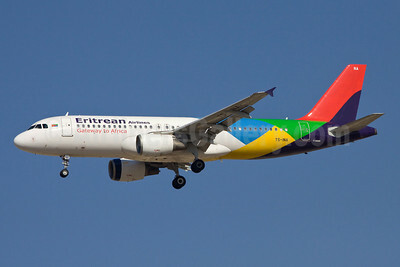 Eritrean Airlines (YanAir) Airbus A320-212 UR-CME (msn 671) (YanAir colors) DXB (Paul Denton). Image: 926884. 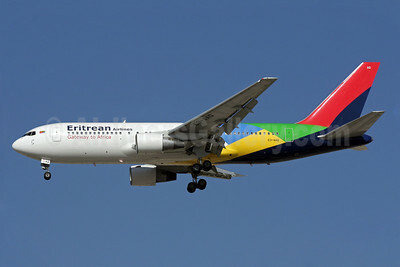 Eritrean Airlines Boeing 767-238 ER E3-AAQ (msn 23309) DXB (Antony J. Best). Image: 907608. Eritrean Airlines Boeing 767-238 ER E3-AAQ (msn 23309) DXB (Konstantin von Wedelstaedt). Image: 907134. 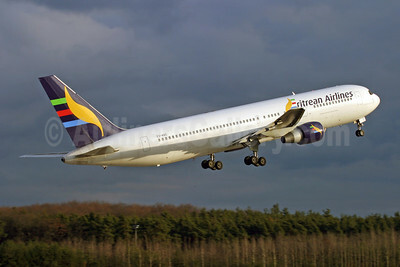 Eritrean Airlines Boeing 767-366 ER E3-AAO (msn 24541) FRA (Konstantin von Wedelstaedt). Image: 907135. 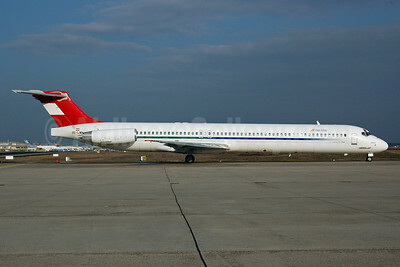 Eritrean Airlines Boeing 7907-331B LZ-PVB (msn 19570) MXP (Christian Volpati Collection). Image: 933453.